Determining how to set appointments has a direct improvement on a salesperson’s results and performance. The following are eight easy steps which you can do to improve your appointment setting. What is the core value you have to offer? What is the value that the clients receive that purchase your products and services? Basically, how do you assist your clients? This is a good place to begin if you don’t have the ability to quickly and easily answer this as well as come up with some sort of value statement. You only have a couple of minutes to work with when cold calling and attempting to set appointments with sales prospects. Because of this, you have to be as efficient and attention grabbing as possible. By communicating the value you have to offer it helps with this. What does your ideal prospect look like? You might want to start by thinking about what a prospect that doesn’t fit well looks like when you’re unsure. Then, proceed with thinking about all the things you would have to change as well as how in order to make that prospect fit well in terms of buying and using your products and services. We need to know what prospects we should spend our valuable time speaking with and which ones we need to avoid and walk away from to improve how to set appointments. We’ll usually need to ask prospects some qualifying questions to clearly identify what their needs and capabilities are in order to ensure we’re dealing with ideal prospects. Next, write out three to five questions which you could ask prospects to ensure it makes sense to meet with them when calling them to set appointments. The process, how to set appointments, gets easier for us when we have the ability to get the prospect talking about pain they’re experiencing. Develop a list of pain points which an ideal prospect might be experiencing and which you can resolve by providing your products and services to attempt instigating this subject. You can share some of these points with prospects once you have the list to determine if they’re experiencing any of these pains. We need to build a little interest to get the prospect to agree to an appointment. We can develop a list of silver bullet points which we can share with the prospect to build interest to help with this during the narrow window we have to work with during a cold call. This could include points about what we do, how we are different from the competition, threats from not purchasing from us, etc. We’ll need to develop some credibility for when working on improving how to set appointments. Name dropping other businesses we’ve worked with is one way to quickly do this. Take all of those points and put them on the same piece of paper once you’ve gone through all of the previously described steps. Now, you have something which can be used as a cold call script and/or call outline. Picking up the phone and making it happen is all you have left to do at this point. 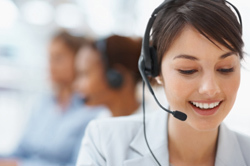 SalesScripter provides call scripts helping sales pros to figure out how to set appointments.